A christening is a blessed event and is often celebrated with a small party or reception. Most attendants at a christening party will be family members and close friends, often with young children, so keep this in mind when preparing for your party. Paper products and decorations designed for a christening enhance the party theme. Enlist the help of the party guests to create a keepsake to honor the occasion. This can as simple as asking them to write a few words in a scrapbook or guest book. Or have guests sign with permanent marker small squares of fabric that will be pieced together as a quilt. At minimum, provide guests with disposable cameras, and ask them to take as many shots as they can. Collect the cameras and develop the photos. Paste the photos into a photo album or scrapbook as a reminder of the special day. 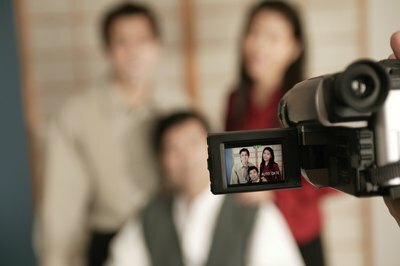 Ask a friend or family member with a camcorder to record the christening party. Guests can direct their messages to the child who was christened, and his parents can play it for him when he is a little older. Be sure each guest identifies herself before speaking. You may opt to serve a simple meal of finger sandwiches and punch, or you may prefer to limit the food to a simple dessert buffet. Either way, a christening cake will be the focal point of your serving table. Order your cake from a bakery or make it yourself. The cake should be all white, and many people opt for the shape of a cross to further depict the holy event. Purchase paper goods made especially for the occasion. 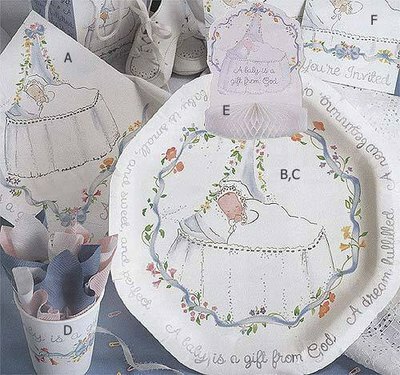 Some companies, like Catholic Children's Company, sell a wide range of products including plates, napkins, tablecloths and decorations. Have a few special treats on hand for the children in attendance. An array of fruit, veggies and dip and assorted cookies are a nice addition to the adult fare. If the clergy member who performed the christening is present at the party, he or she will likely offer a blessing prior to the food being eaten. As the party host, you should announce this fact as the food is set out, so no one is embarrassed by starting to eat before the blessing. Since christenings are typically attended by families with babies or small children, you should have some type of activity that will suffice for all ages. Choose a party space that allows children to run off their excess energy after being in church. 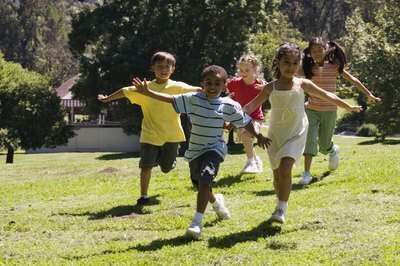 If the weather permits, plan some outdoor activities, including games of tag, Wiffle Ball, or hide-and-seek. Some people opt to host the christening party at an outside location, like a park or someone's backyard, and rely on playground equipment to occupy the children.